New driver line-ups, one of the biggest regulation changes in the history of F1, and the defending World Champions struggling. In truth, there has been no shortage of things to talk about through the winter break. But, after the initial shock of how the 2014 spec Formula One cars look and sound, racing will resume next weekend. The talking stops. If you’d grown bored by the dominance of Red Bull Racing and Sebastian Vettel after last season, you probably weren’t alone. However, F1 has a wonderful way of reinventing itself. While not everyone has been receptive to the sport’s new era; as the second half of 2013 proved, change was desperately needed. The big news after a turbulent winter has to surely be the struggles of Red Bull. To put it bluntly, the team that swept all before it during the past four years is in bad shape. The Milton Keynes based squad has not even managed to achieve half of the mileage that it racked up in the 2013 pre-season. They go into Australia very definitely on the back foot, and in damage limitation mode. 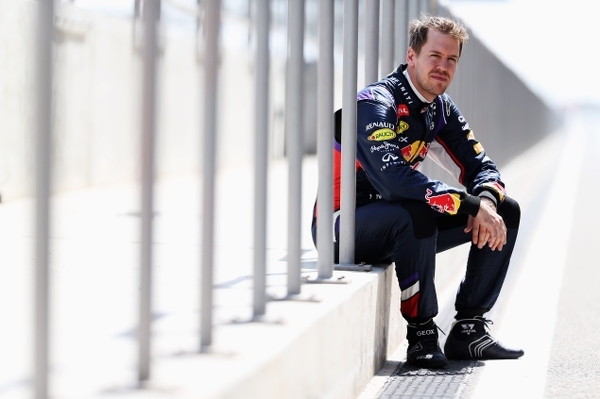 It is highly unlikely that Vettel will extend his winning run of nine races. Furthermore, it isn’t totally out of the question that Sebastian, and new Red Bull team mate, Daniel Ricciardo, could fail to see the chequered flag. But make no mistake. Red Bull will be back. It is just a question of how long it will take them to resolve their issues. While they toil, however, others will be determined to steal a march on a team that seemed untouchable for most of last season. The heavy favourites going into the first race of the year are Mercedes. The German manufacturer, and its customer teams in the form of McLaren, Williams and Force India are in good form. In contrast to the dire winter Red Bull have endured, the Mercedes engined cars have been chewing up the miles, and setting eye-catching lap times as an added bonus. How is this for a statistic? Of the 12 days of pre-season testing available to teams, only once has a Mercedes powered machine not set the pace. That was way back at the first day of the first test, in Jerez. It has been the manufacturer Mercedes team that has more often than not been leading the way. Aside from a front wing failure on that very first day, the Brackley based team has been consistently clocking up the miles. It is also important to remember that they are only one of two teams (the other being Marussia) to feature an unchanged driver line-up. In a year of such huge change, driver continuity may well provide the Silver Arrows with an important advantage over their rivals. British stalwarts McLaren and Williams both had a dismal 2013, but look to bounce back in 2014. Williams has certainly had plenty of media attention, thanks to its title sponsorship deal with Martini, but on track things have been equally impressive. The car has proved to be both fast and reliable in the hands of Valtteri Bottas and Felipe Massa, and the team could well be Mercedes’ closest rivals in the opening part of this season. Jenson Button is also upbeat about his chances, while young team mate Kevin Magnussen is widely expected to perform well. The 2013 Renault 3.5 champion has consistently been towards the top of the timesheets. Force India is also poised to spring a surprise. 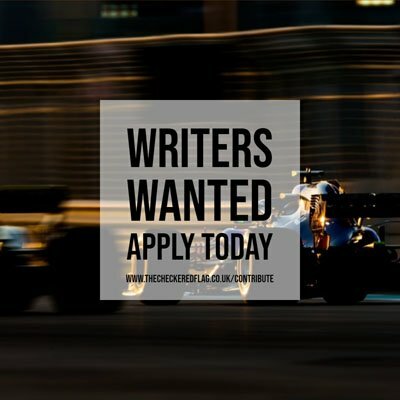 While not enjoying the same sort of form as the other three Mercedes powered teams, Nico Hulkenberg and Sergio Perez are likely to be regular points contenders. If anyone if going to break the Mercedes monopoly in Melbourne, it is likely to be Ferrari. The Italian squad provided one of the talking points of the off-season, with the signing of 2007 champion Kimi Raikkonen. The Finn will partner Fernando Alonso in arguably the Scuderia’s strongest ever driver line-up. The move is a definite divergence away from Ferrari strategy of a clearly assigned lead driver. The way the relationship between Raikkonen and Alonso develops is likely to be one of the main talking points of the 2014 season. More immediately however, and both will be looking to provide the Merc teams with some form of opposition in Australia. Ferrari’s pre-season can be described as solid, but not spectacular. Other than Raikkonen topping the times at the first day in Jerez, the red cars have not shown Mercedes troubling speed too regularly. Ferrari’s customer teams, Sauber and Marussia, have also had mixed fortunes. Certainly, they are not in as bad a shape as the Renault teams. Red Bull’s problems have been well known, but it has been no better for Lotus, Toro Rosso or Caterham either. The Jerez test was a disaster for teams powered by the French manufacturer, and things didn’t seem to have improved at either Bahrain test. Perhaps in the worst shape is Lotus. After a winter of being in the news for all the wrong reasons, the Enstone team was the only team to miss the opening test. The E22 has proved so unreliable thus far that it is hard to get a reading on whether they can be contenders for race wins later in the season. But things can turn around quickly in Formula One, and no team has had a clean bill of health all the way through testing. The team to cause the fewest red flags was Williams, and reliability may well be a key asset to the team as the year goes on. After years of almost bullet proof cars, reliability could prove to be what decides the outcome of the 2014 championship. Red Bull team boss Christian Horner warned before the start of the season that up to half the grid could fail to finish the first race, while some believe even that is a conservative estimate. The new 1.6 litre turbo charged V6 power units, as they are now officially called, are radically different from their predecessors. Add in further complexities such as new brake by wire system, and teams are warning that these new cars take twice as long to fix when something goes wrong. The cars are also a different, and more spectacular, challenge to drive. Winter testing has shown numerous instances of drivers making mistakes due to the extra torque from the engine. Drivers will not only have to be gentle with the right pedal, but also save fuel. Those who can adapt best and blend speed with efficiency are those most likely to be winning races. Adding to the 2014 theme of change, this year’s calendar also features two new races. India and Korea have been dropped, while the planned races in New Jersey and Mexico have been postponed for a year. However the sport makes a popular return to Austria with a visit to the Red Bull Ring – formerly A1 Ring, scene of Ferrari’s infamous team order debacle in 2002. Additionally, F1 will race at the Winter Olympic venue of Sochi. Last year’s GP3 champion, 19 year old Daniil Kvyat, will become only the second ever Russian to race in the sport, and is likely to receive plenty of support from fans. Lastly, the Bahrain International Circuit celebrates its tenth anniversary and becomes a night race. On paper then, the 2014 F1 season is set up to be a thriller. Change is often hard to accept, but if the championship is half as exciting as it promises to be, people will soon forget about the “anteater” noses and different sounding engines.